Our chaperones, along with student travelers, are carefully selected and chosen as the most excellent ambassadors of Oregon and the Partners program. 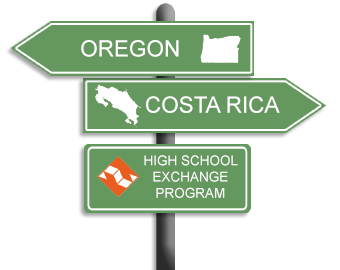 We are recruiting two Spanish-speaking chaperones (minimum age 25) to accompany approximately 25 Oregon high school students to Costa Rica for 8 weeks during the summer. We also select an alternate chaperone to travel in the event that either of the selected chaperones cannot fulfill their obligation. They are extensively prepared for travel and ready for the summer of a lifetime. Please view our Chaperone Flyer for more information. Continue reading and you will find additional information about Partners of the Americas responsibilities to its chaperones as well as your responsibilities as a chaperone for Partners of the Americas. The Program covers all travel expenses for chaperones. Room and board are provided by a host family in Costa Rica. Because chaperones stay with host families, they are not able to have spouses, partners, friends, their children, or other relatives accompany them to Costa Rica. However, visitors are allowed for a maximum (total) of 2 weeks, the timing of which must be pre-approved by the Southbound Director. Chaperone guests are responsible for their own lodging, food, transportation, and other expenses during this period. In addition, the chaperone must remain available to manage any program business that arises during the 8-week travel period and must coordinate with the other chaperone regarding any absences. Chaperones do not have to be educators but a good rapport w/kids and experience supervising student groups is a prerequisite. Chaperones must be “travel-savvy” w/ experience in bi-cultural settings. It is required that chaperones be fluent in the Spanish language, able to communicate effectively and work through challenging or emergency situations of any nature with Spanish-speaking host families or with our Costa Rican Partners. Chaperones remain in Costa Rica for the full 8-week session and must be available on-call, to provide support and assistance to our student travelers. 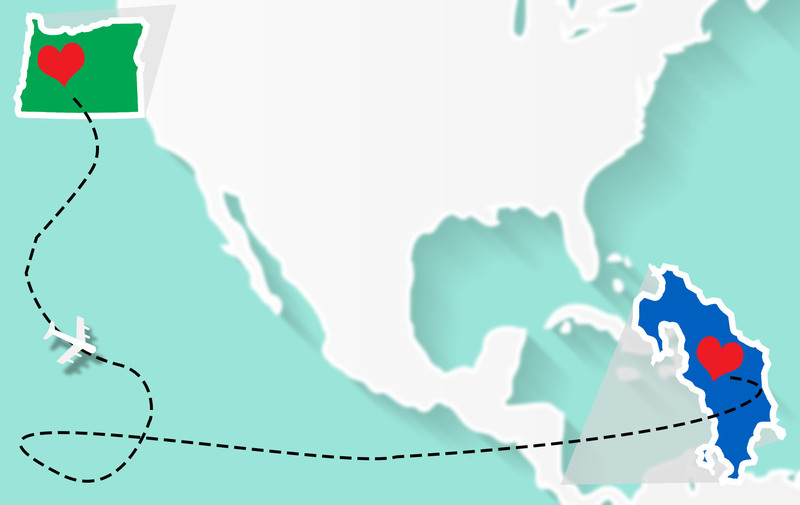 Generally, because students stay with host families throughout Costa Rica, chaperones are not placed together in the same area at the same time. Attendance at ALL student orientation sessions and chaperone training is required. See the Calendar for specific dates of application deadlines, interviews and orientation sessions. Applications are due postmarked or emailed by Sunday, January 15, 2019. Chaperone interviews will take place at one of the informational meetings or at the “Getting to Know You” orientation. In addition to dates listed for student applicants, an orientation for the chaperones will be held at a time that is mutually agreed upon by the participants. Review the chaperone responsibilities outlined for your information and complete your application and Chaperone Agreement. The committee will schedule all student orientation activities and notify all participants. Plan and conduct all student orientation activities + the chaperone orientation. Process student applications, including screening and interviews. Make all necessary travel arrangements and pay for tickets of chaperones. Supply chaperones with travel packets, including all tickets, itineraries, student passports and immunization information, contacts in Costa Rica, and instructions for any special arrangements. Supply emergency contact numbers in case of problems en route. Provide a travel fund for program-related expenses of chaperones while they are in Costa Rica. 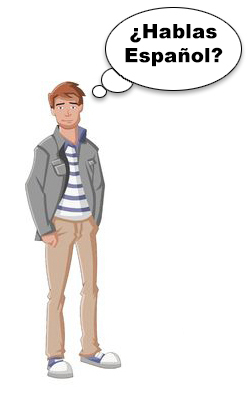 Make sure chaperones’ host families are aware of chaperones’ responsibilities. Maintain contact with Oregon families of traveling students. Be available for consultation with chaperones to solve any problems that may arise. Provide support and preparation to enable chaperones to fulfill their duties and responsibilities in order to ensure a good experience for all involved. Participate in an interview with members of the Exchange Committee. Assist the Exchange Committee in the selection of student travelers. As a chaperone, you must agree to assist with ALL of the student orientation activities & the one for chaperones. Please visit the calendar for dates and locations. Take primary responsibility for assisting Southbound students in preparing a “Talent Show” for families during the changeover in Costa Rica. Arrive early for departures and assist with check-in. Be responsible for all tickets, passports, and immunization information during the trip. Communicate directions and procedures to the group. Communicate any changes/problems during travel to the Oregon Coordinator. Handle any problems or changes. Make contact with all the students on a regular basis and be available for students to call when they need advice, assistance, or help in problem solving. Make contact with all the host families shortly after arrival. Serve as a liaison between host families and students. Make all arrangements, with assistance of Amigos de Oregon group in Costa Rica, for overnight changeover for the students. Confirm return airline reservations and remind students and host families of date and time of departure. Attend reunion of travelers in September. Assist in publicity of and host family recruitment for the program in your area. Serve on the Selection Committee for at least two years. Assist with Host Family Orientations in your area. Maintain contact with past travelers to recruit them to attend upcoming orientations. Be flexible, enthusiastic, and remember that you are representing not only yourself, but also Partners of the Americas, Amigos de Oregon, and our country as a whole. Always work to make the experience positive for all involved, including students, host families, Oregon Exchange Committee, and Oregon families. To get started please complete our Chaperone Application. Please complete and return the Chaperone Agreement Form.